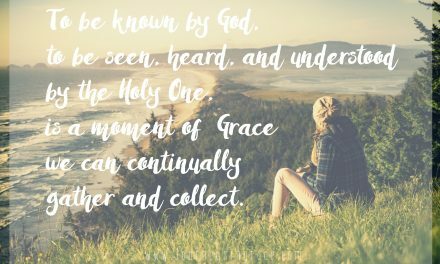 The wonder of finding something new about grace, about God’s grace in particular, has been a defining characteristic of the words that I spill here. I mentioned last week about the way it is constantly changing the paradigm my world revolves around. That isn’t anything new, really. But this past week as some major moments were counted in the timeline that records my days and I gathered with brilliant and beautiful people to feast on the importance of consistent prayer and deep and soul-filling nurturing, I was reminded of the most important lesson my soul is actively learning… to wait silently, expectantly, and faithfully for and upon God. These words this song-writing heart-after-God seeker penned have been playing on repeat in my memory. And the depth of their meaning, the intent behind the purpose that waiting gives… is more than just a cursory glance can expound on. While the psalmist is expressing a patient submissive stillness that resounds as a breathless adoration and a holy quiet wait in the soul which spills over into EVERY OTHER THING… I have been convicted by the potential that waiting on God alone affords those who both hear and do exactly what He says. 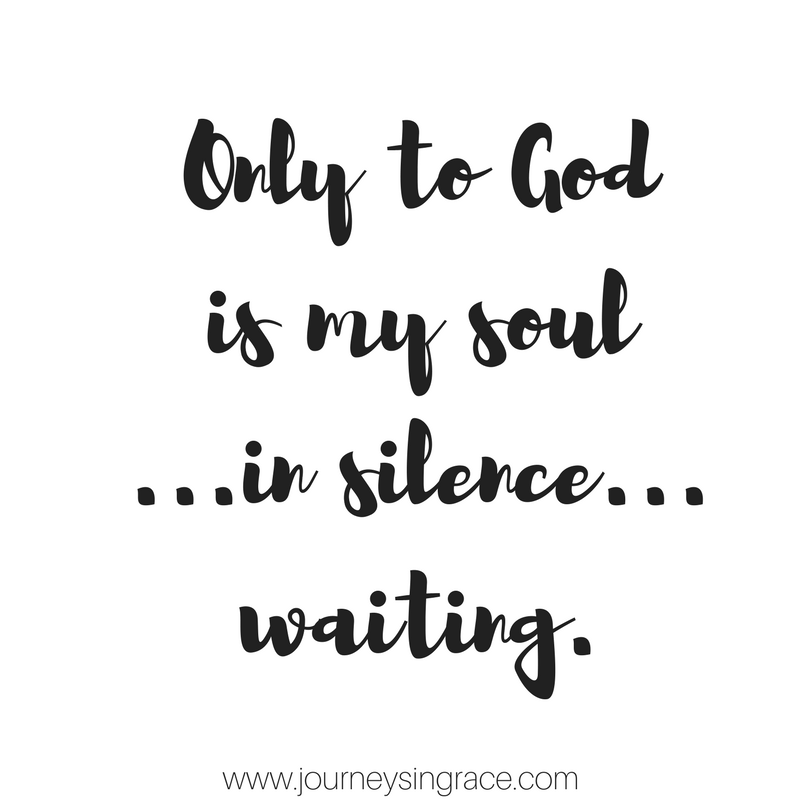 Wait upon God, alone…truly. Because he is the source of our salvation. The word truly is an adverb that emphasizes what will follow in a sentence, as an indicator of an expression of truth we ought to attend closely. In the original Hebrew this verse is translated as, ‘only to God is my soul silent.‘ And because God’s Word is alive and powerful, able to dig deep within the very threads of our souls, I felt the enormity of those wise words as a bracing sign to yield and look more earnestly behind their message. Truly…indeed…verily..surely..certainly…completely… this deliverance, this victory and the salvation that my soul requires can only be found in this one and single space of sacred holy waiting, the place where only upon God do I wait… only upon God is my soul silently counting time and postured to pause. Submissive posture in admissive praise, even if it is a silent waiting that shouts ‘expectant faith’, ultimately brings forth the awed wonder which belongs solely to God alone. And the only place our inner soul can quiet the requiem of the daily toll living can take …is to wait on God. “No eloquence in the world is half so full of meaning as the patient silence of a child of God.” – Charles Spurgeon. 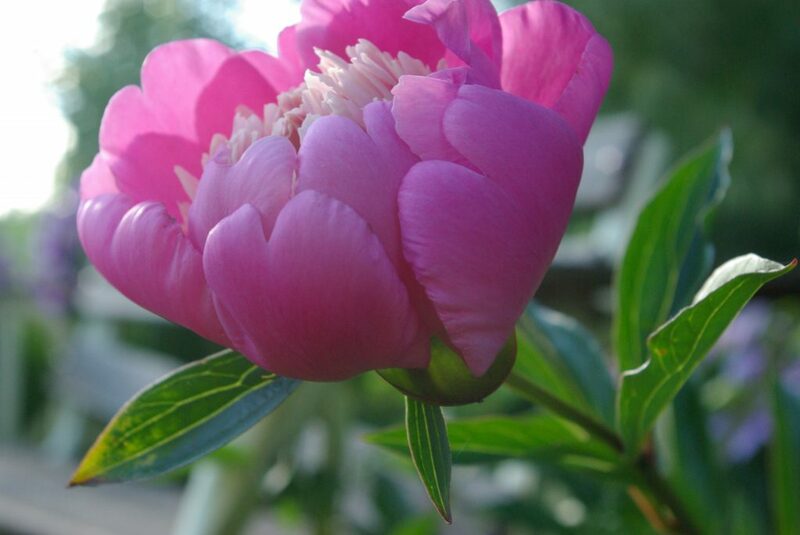 I was reminded about the silent waiting while watching the peonies bloom in my garden recently. With almost anxious expectation, each day near the end of May sends me seeking the progress the flowers make in transition from bud to bloom. 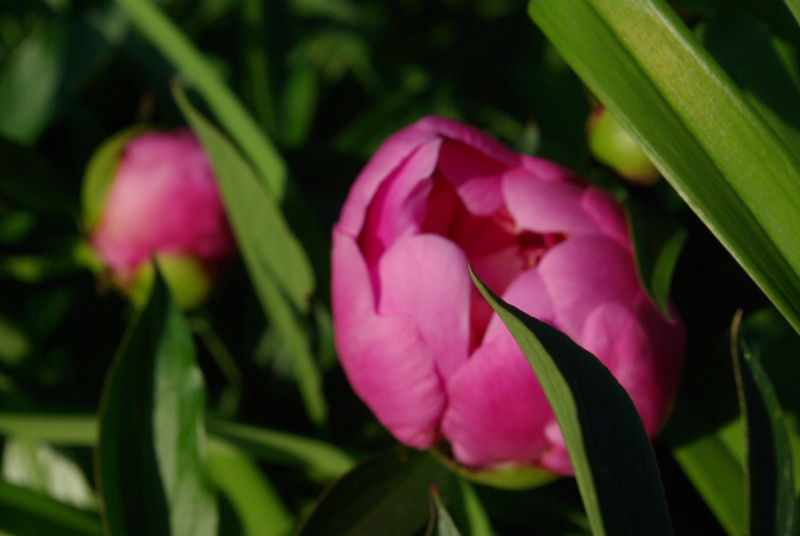 Without the diligent ants eating away the seal on each bud, the delicate paper thin blooms will not unfold to reveal a sweet and indulgent presence perfumed unlike any other flower that graces the acres we own. 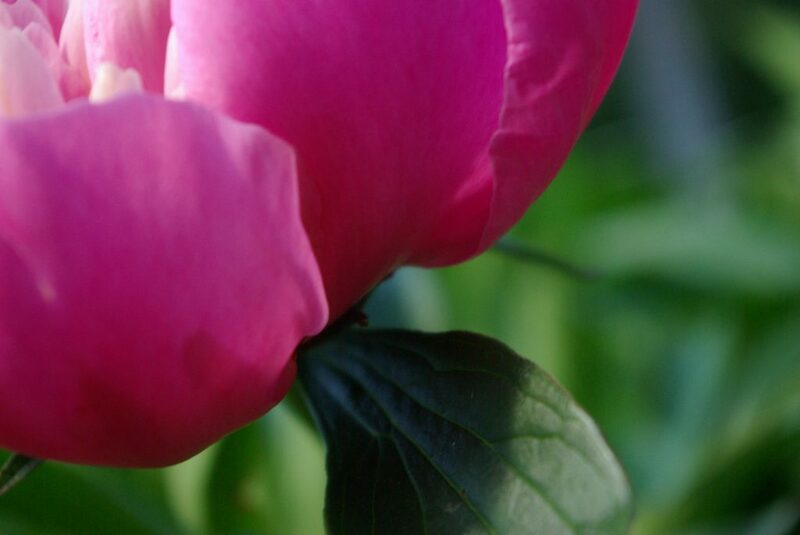 I was convicted that I put more confidence in the successive stages of the flower’s patterns than in the faithfulness of the Father. I found myself waxing the hastened obedience set forth as a pattern by the Savior from Luke 2:52. And this habitual obedience must require from us a silent yet expectant posture in our hearts before the throne of grace. It’s the open receptive stance of faith. Friends, you are always a part of the wonder that I count as grace in my days. And because He is always faithful and gently waits for us to heed and to follow, I am counting grace in a new and precious way. 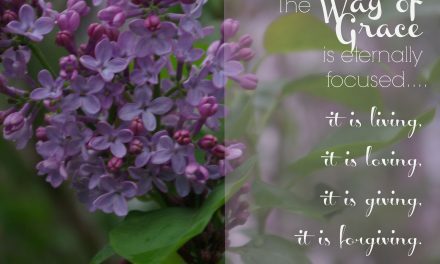 I am learning to see how grace yields to trust and allows us to let go of what we hold into the capable hands of the Father. It works upon our souls to know the heart of surrender in a beautifully humble way. 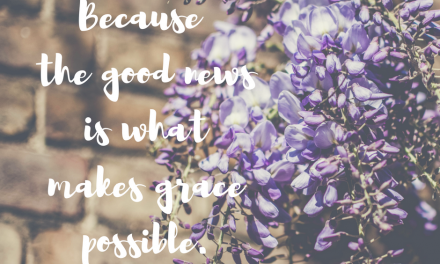 It is the way we learn to transition and to wait and to expect from God because His grace is truly never-ending. … a slowing down in the midst of the busy to be built up by His mercy. …recognizing His voice over the volume of the crowd. …listening closely, connecting and committing my all to Him. …learning the heart of surrender is found in the treasure of silently waiting upon God. In the moments we collect, in all we endeavor and plan and purpose let’s learn to wait for His grace. Will you surely and certainly and verily look for the mark of His glory in your waiting? Truly and indeed, let’s allow grace to be the mark of His glory in us. 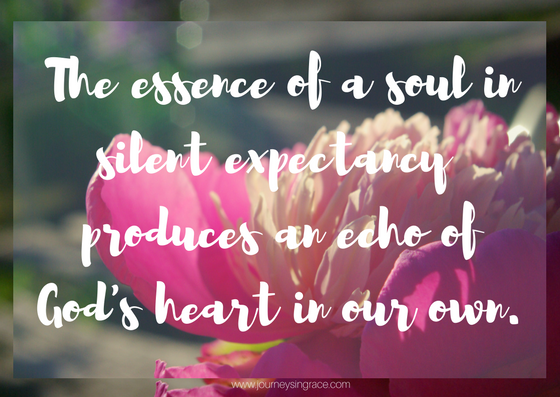 And let’s yield to essence of silent expectancy as an echo of His will in our heart so that all we do and say is a soliloquy of grace. 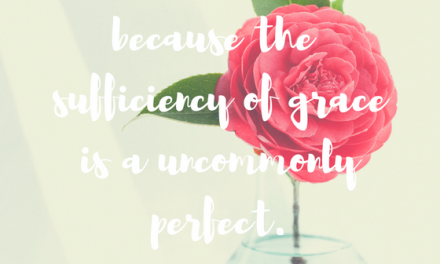 Please Note: #GraceMoments Link Up will be taking a short break in June! For a while I have been wrestling with taking a break here, a Sabbath resting from sharing words and of counting grace with you. I don’t want to, actually. Partly out of fear that I will lose momentum, and if I am honest, friends who are here to link up each week . And partly out of a stubborn pride to push through and stay committed to what I had set out to do. Yet, I know that I also need to listen closely to the still small voice that has gently given me permission to press pause and wait a while. We have been celebrating in the transition period. 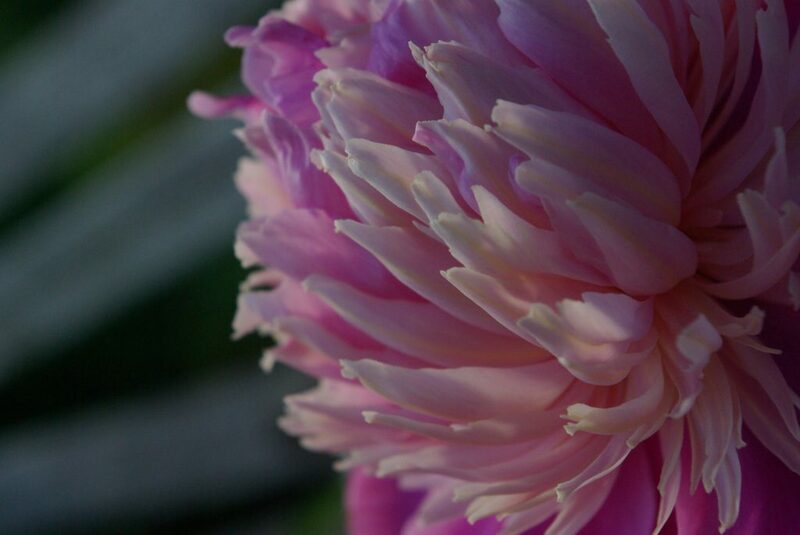 Our youngest celebrated 15 years of living brave today and last week our son graduated from High School but with all the new things happening and life blooming big in our midst we have been postponing our celebrating. So, I will be taking a two week blogging break during the month of June as my schedule is leaving absolutely no time for me to do all the things I need to do well…like visit each of you during the week when you have graciously met me here. I do hope you’ll check in and join me again when the link up will return on June 22nd. I am praying for you, friends. Please don’t hesitate to let me know how I can pray for you specifically. I covet your prayers for the month ahead. Yes, Yes, Dawn as we collect moments through experiences we go through everyday, we see the beauty in leaning on His grace. Sometimes a break is what the soul needs. Do enjoy your break and see you in other places. Remember to say Happy Birthday to Lauren ok? Dawn, this is what my soul needs in these days of over-scheduled (but joyful) living! Trusting for a grace-break this weekend in the midst of all the celebration of my son and his new bride. I’ve got so much to thank Him for! Thanks for drawing our attention to “truly.” Sometimes those individual words can be overlooked, but what a powerful meaning we would have missed. Bless you as you take time away from the blog to put on your family, Dawn. We all understand that. Congratulations to your son on his graduation! Beautiful thoughts Dawn! I enjoyed this today!